Vandoren’s ever popular silver plated Optimum ligatures offer an opportunity to adjust the sound, using the 3 interchangeable pressure plates. 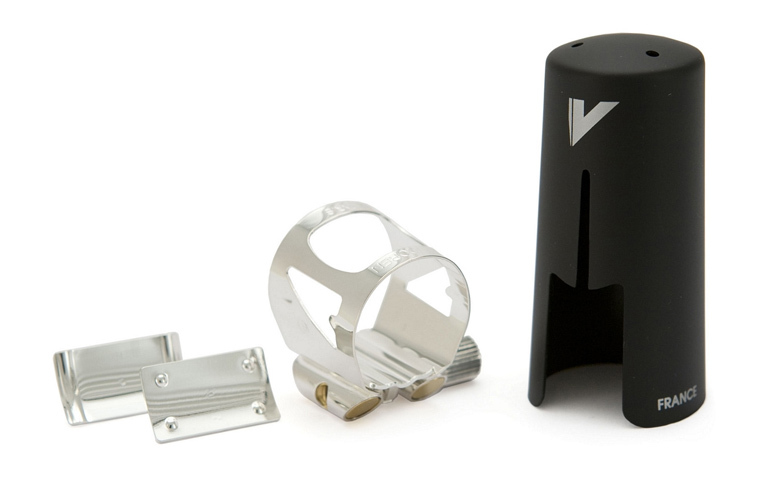 The ligature has a solid single screw design, to allow quick and precise adjustment, whilst ensuring consistent hold and pressure on the reed. A rich, colourful sonority which produces great resonance. Pressure along the fibre of the reed facilitates an unbelievable blowing ease. Incredible ease of articulation. A more compact, centred sonority, smooth even sound and extraordinary blowing ease. The reed vibrates in total freedom, producing a very flexible sound. Greater ease of expression. This ligature would be suitable for an intermediate or professional player, looking for a top-quality ligature to facilitate great ease of expression, with freedom. Silver-plated for a bright sound and long lasting finish. Provided with a plastic cap, to protect your reed and mouthpiece when not in use. Fits most plastic, and ebonite Eb clarinet mouthpieces. Gives a centred controlled sound with a very secure fit.